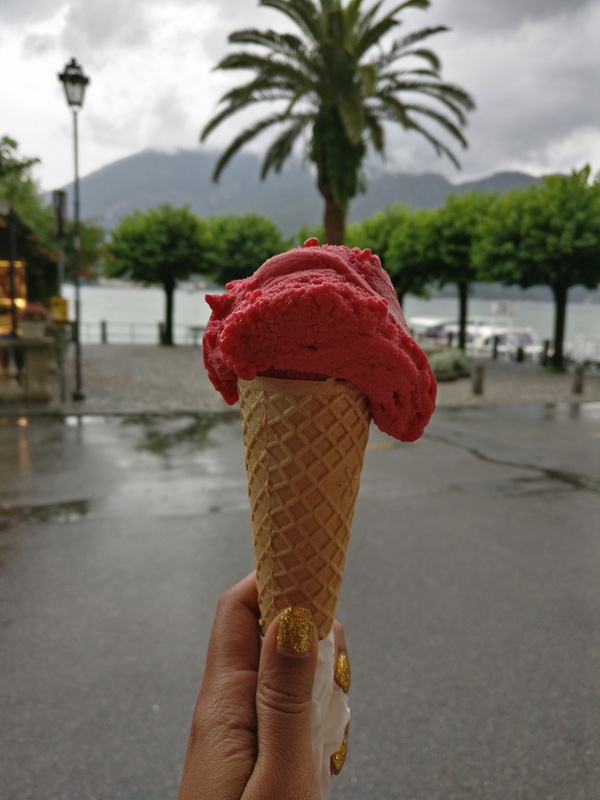 We spent 14 days exploring Switzerland and Northern Italy. We had lovely experiences throughout the trip and I can’t wait to share it…. From Switzerland we drove to Lake Como via Stelvio pass. It was very scenic. 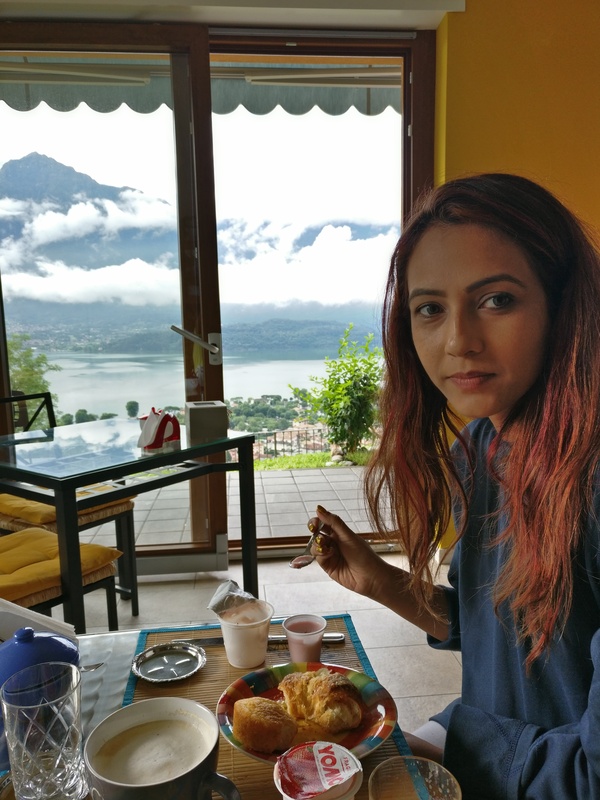 We stayed in Lake Como region for 2 nights at 2 different places on the different sides of the lake. 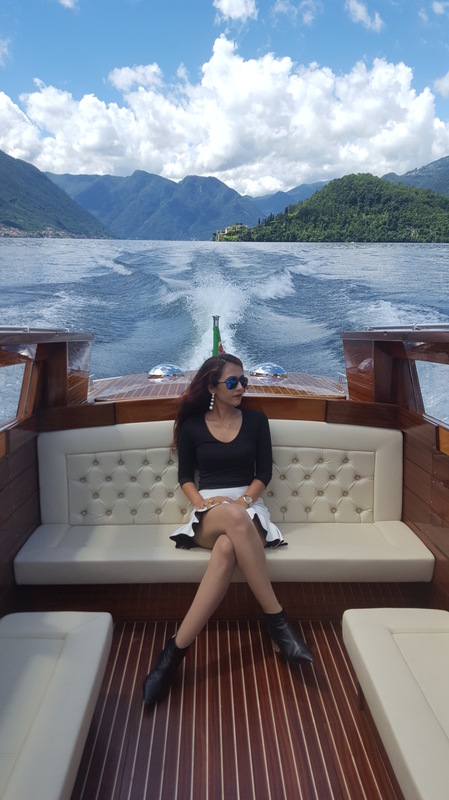 Lake Como is the 3rd largest lake in Italy and one of the deepest lake in Europe with the depth of 1300ft. It is of glacial origin. 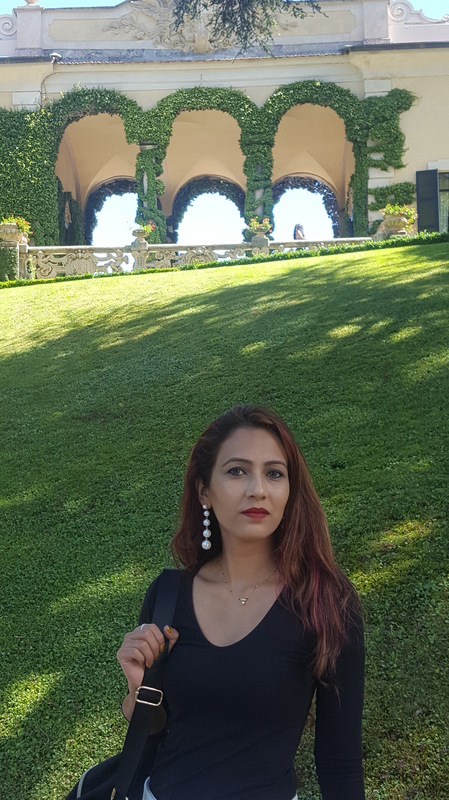 Lake Como region is upscale resort area since the Roman times. This lake is inverted Y shaped surrounded by Alps and beautiful towns. It has been called ‘the most beautiful lake in the world’. No wonder celebrities like George Clooney, Richard Branson have homes on the shores of this beautiful lake. It has been a favourite getaway for wealthy people. 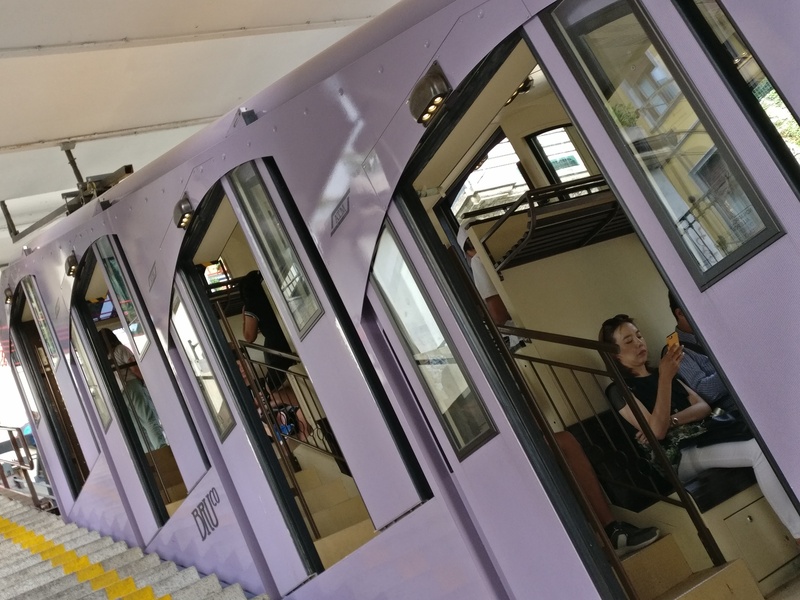 These towns are known for legendary historic villas with beautiful architecture, gardens around the villas and funicular which goes up to the mountain town Brunate from Como. 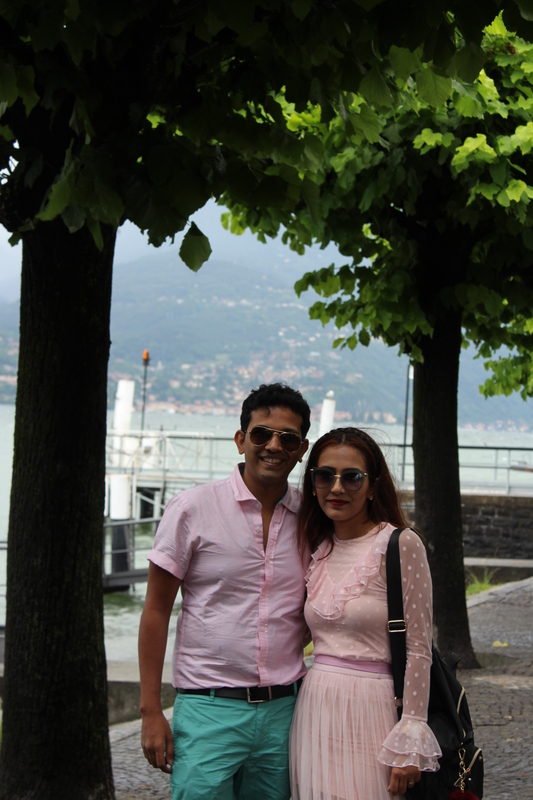 Main towns are Como, Bellagio, Menaggio, Varenna, Lecco…. To experience most of it, we stayed at 2 different sides of the lake. 1st day @ Hotel Paradiso sul lago @ Brunate. 2nd day @ B&B Da Melissa @ Vercana near Domaso. I would recommend to stay in a hotel on a cliff for amazing views. There are many lakeside options too. Both the places where we stayed were on a cliff offering breathtaking views. 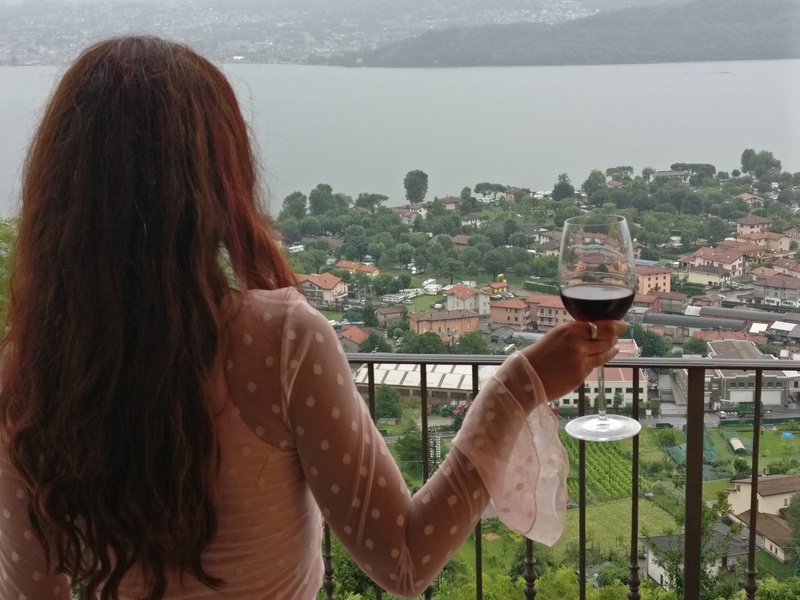 Though Lake Como is known as upscale resort area, there are plenty of beautiful budget accommodations offering nice views of the lake. We drove on both sides of the lake but roads on the western part is scenic than eastern which has all long tunnels. We reached Hotel Paradiso sul lago at around 3pm. 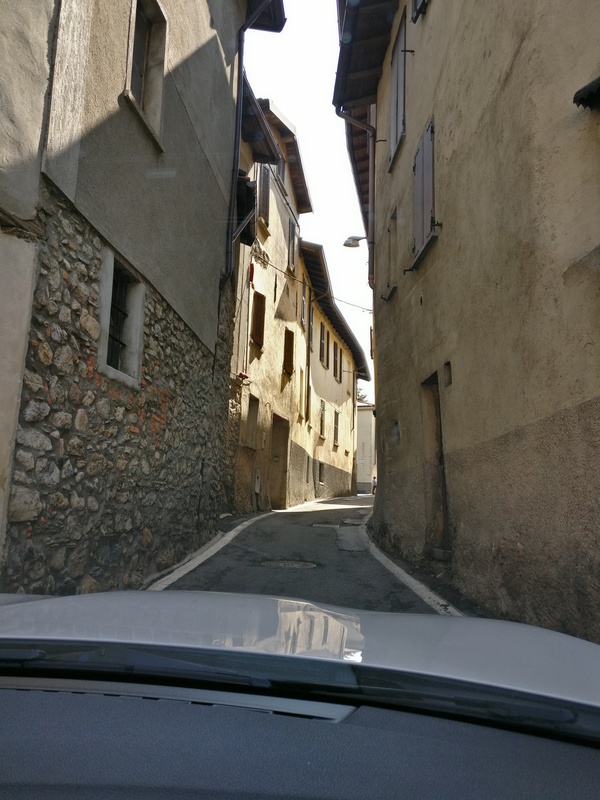 Since it is high up in the mountain town Brunate, we drove uphill through narrow roads. After checking in, we immediately hit the pool which offers great views of the lake and the mountains and then went to the lighthouse nearby. Everywhere in that small town there are viewpoints to see gorgeous views of the lake. 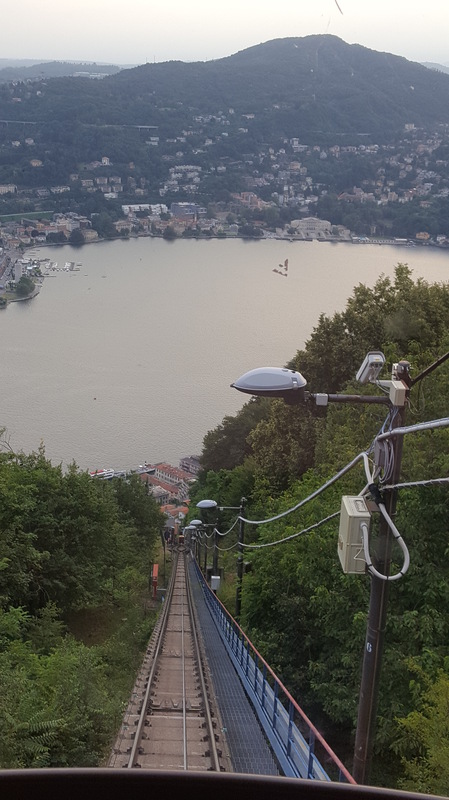 In the evening we went to Como by a funicular. View of the lake is beautiful while going downhill and it is the fastest way to go to Como than driving all the way. We reached Como in 15 minutes. 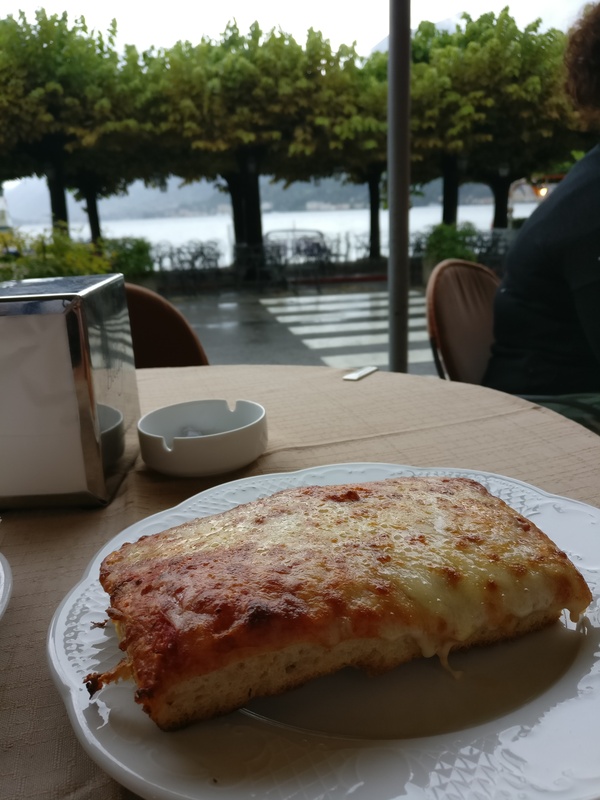 We spent some time at the lake and had dinner at the lakeside pizzeria. 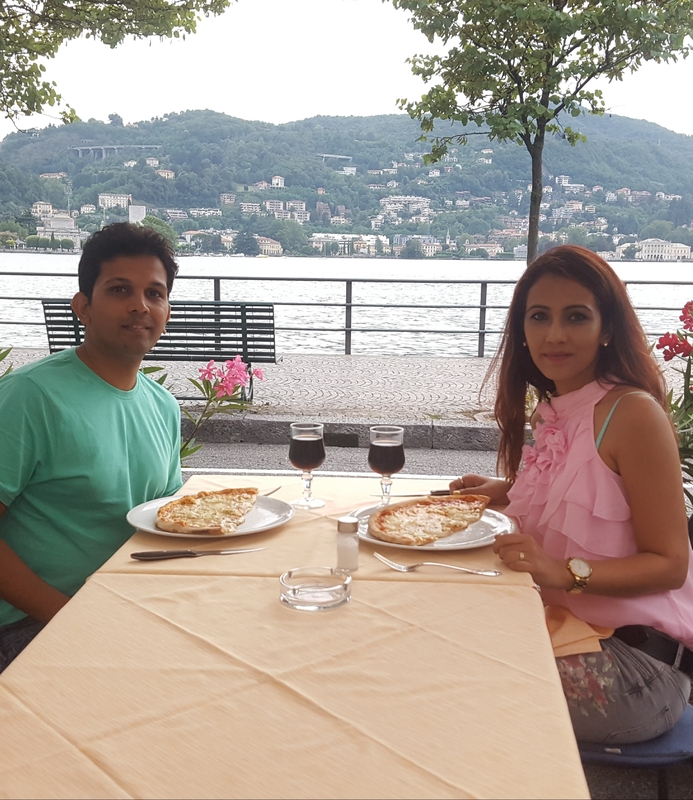 There are many such lakeside restaurants at Como. Lovely lake and yummy pizza by the lake!!! It was an evening well spent! 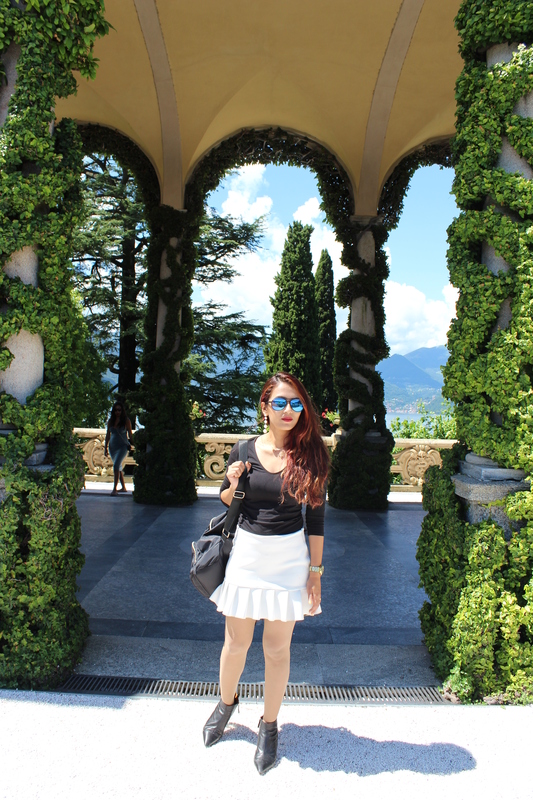 Next day, we planned to go to Bellagio and explore some villas. But because of thunderstorms, villas and private boats were closed. 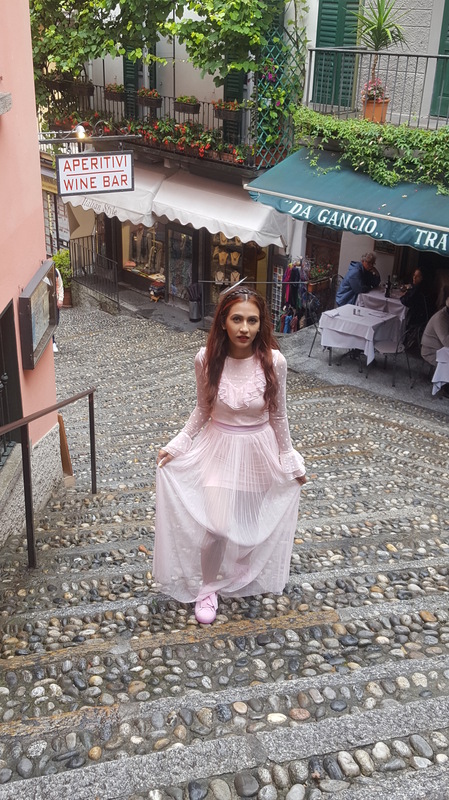 But still we decided to explore the streets of Bellagio. 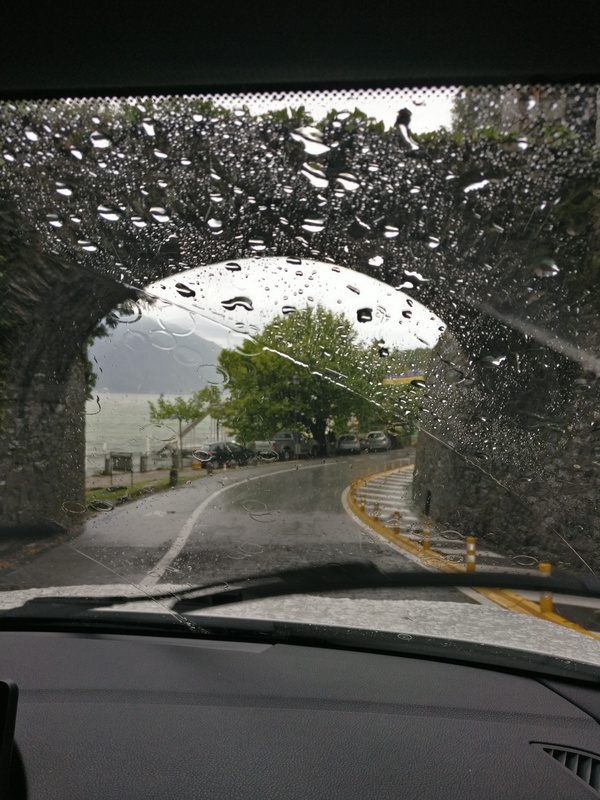 Drive from Brunate to Bellagio was via Como was very scenic. Bellagio is known as ‘pearl of the lake como’. 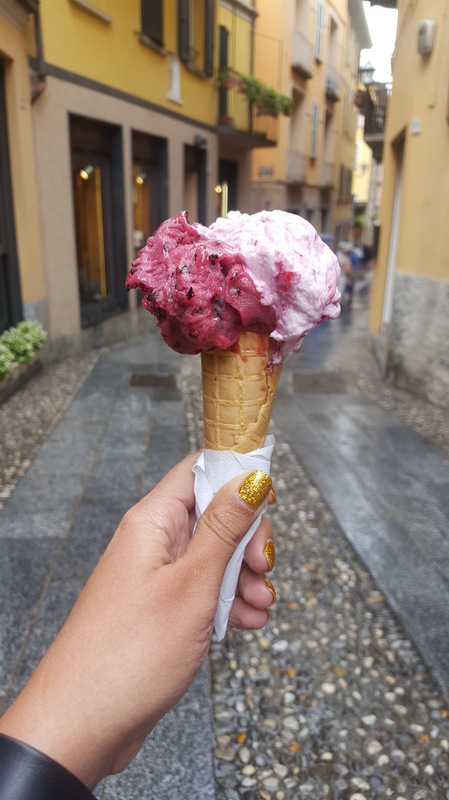 It is wonderful town with narrow pebbeled streets, luxury stores, handicrafts and obviously lovely restaurants….. We spent nice 5-6 hrs restaurant hopping n hogging on yummy gelatos!!! But we couldn’t do anything else coz of heavy rain. Rainy morning!!! Lovely road to Bellagio!!! Then we headed to our next destination on the opposite side of the lake at Vercana near Domaso. 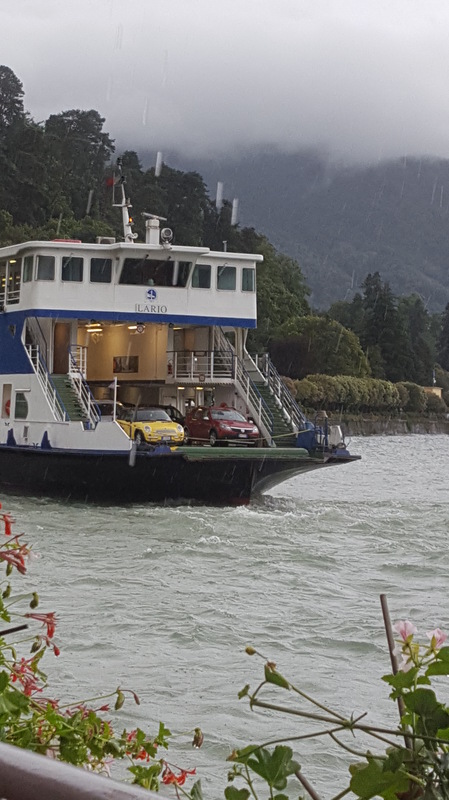 There are 2 options, to go on the opposite side…..either drive all the way or take a car ferry. 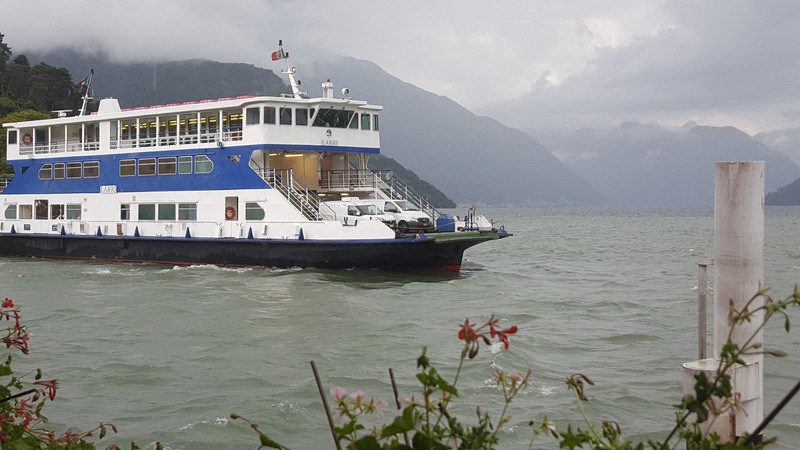 We took a car ferry at Bellagio ferry terminal to Cadenabbia. 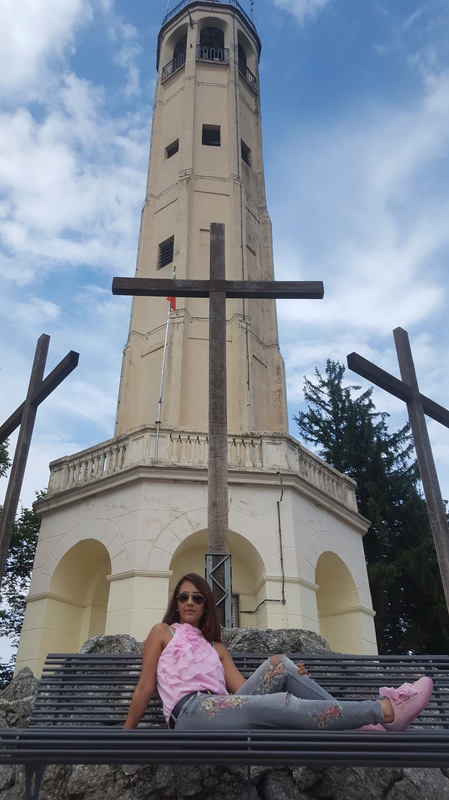 From Cadenabbia we drove till our destination. This was faster. We reached B&B Da Melissa at around 6pm. It was a beautiful room with a balcony on a cliff offering lovely views. Though it was cloudy, the view was beautiful. We booked it through air bnb. 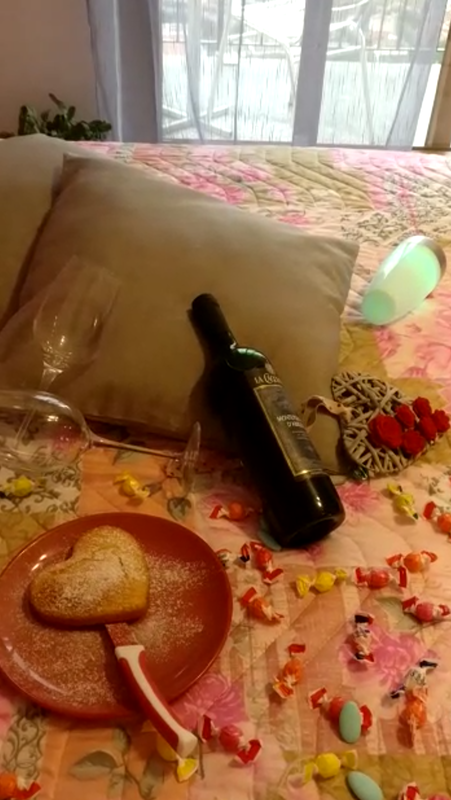 Melissa (host) personally welcomed us with a homemade yoghurt cake, wine and chocolates. Since we were tired and we had a wonderful view from our balcony itself, we spent the whole evening in our balcony admiring beauty of the lake. We even had dinner in the balcony. Again this was a wonderful day! 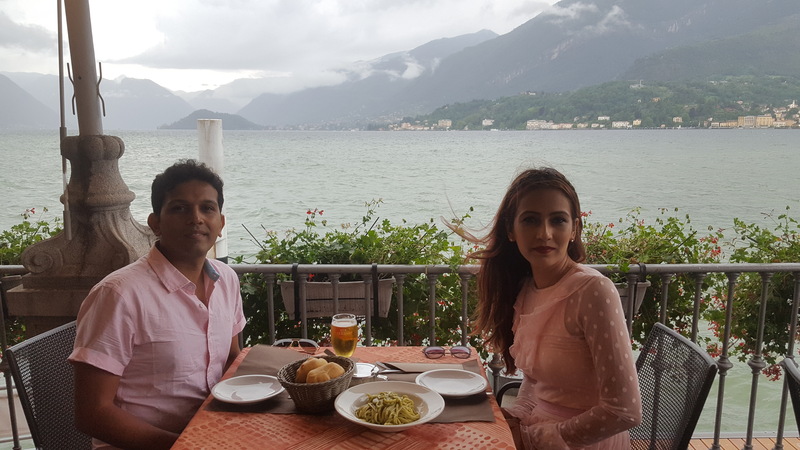 Even the bad weather couldn’t spoil our time at Lake Como. 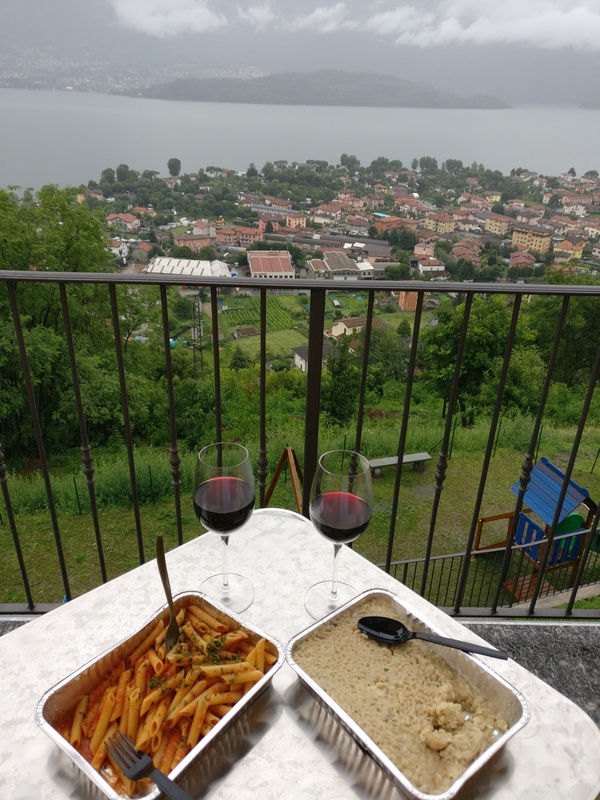 Dinner with a view in our balcony…..
Next morning, we were to leave for Switzerland early but the weather God decided have mercy on us….. so we changed our plan and went to Bellagio again to catch up with the things which we missed the last day because of rains. 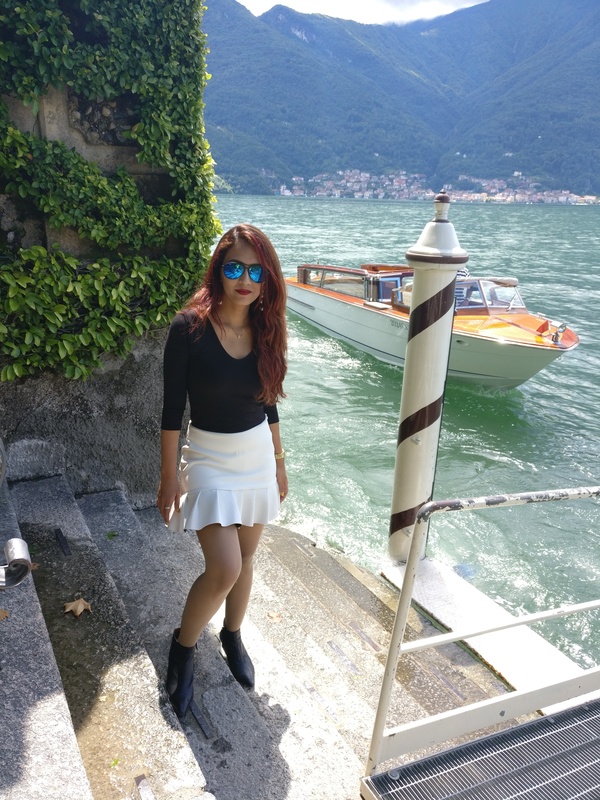 We drove till Cadenabbia, parked our car and went to Bellagio by public transport ferry. Woke up to this view and it was a lovely sunny day! Homemade breakfast and this view! 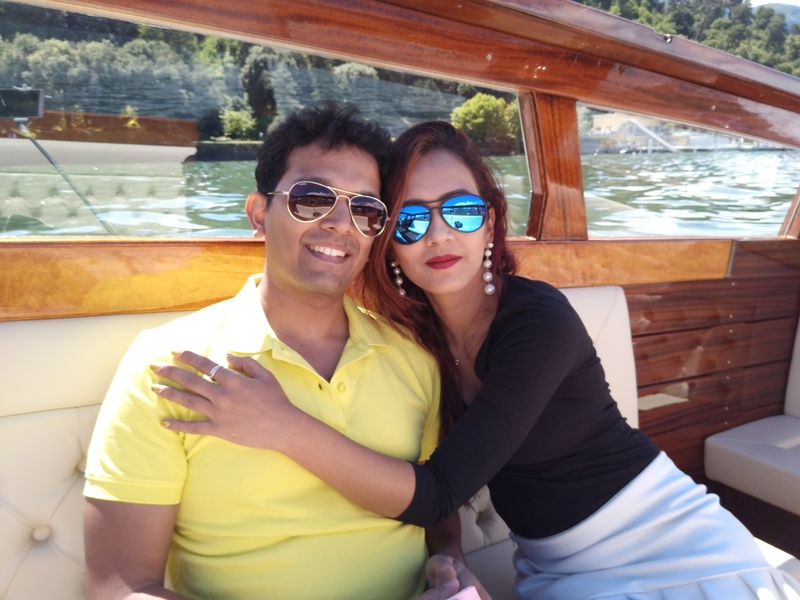 From Bellagio we decided to hire a boat to one of the many villas along the shore of lake como. Water limousine ride is highly recommended if you want to experience luxury at it’s best. Though the water limousine ride is expensive (200euros for an hour), it is fabulous and worth every euro. 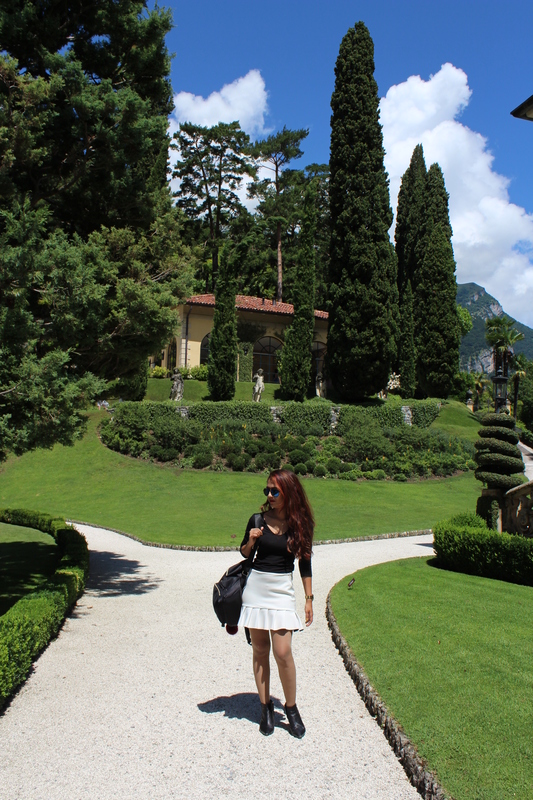 Along lake como there are 19th centuries villas with beautiful gardens which add to the charm of the lake. 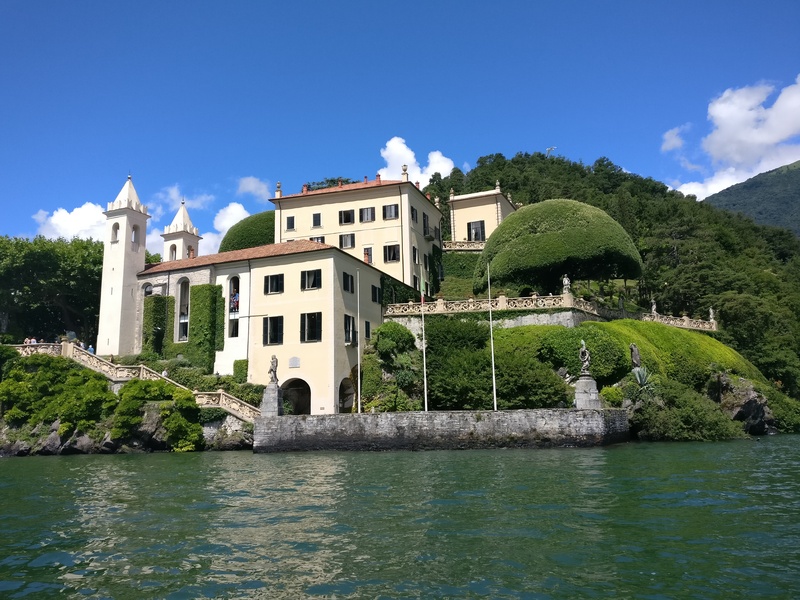 We visited villa del Balbionello by water limousine. This villa is easily approachable by boat. This is the place where Casino Royale & Stars Wars – Attack of the clones were filmed. 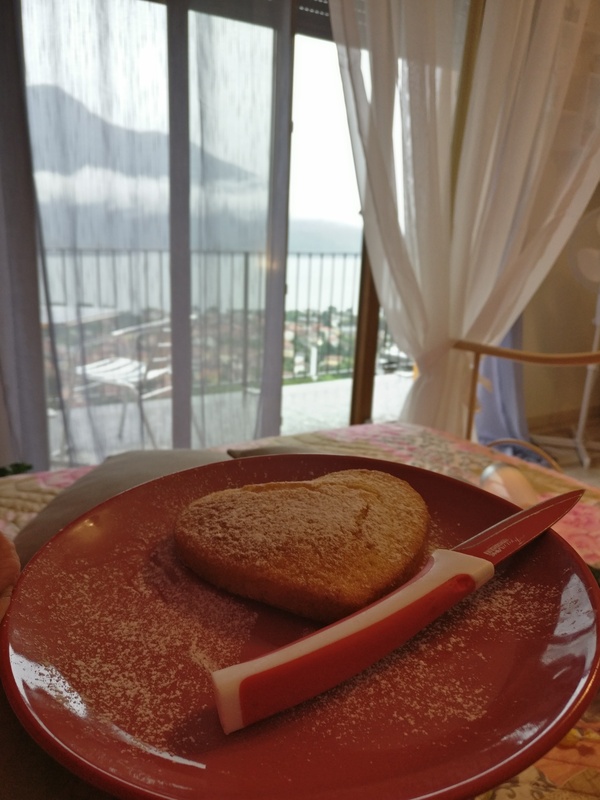 This villa with it’s paradisiacal garden in the backdrop of lake como makes it a perfect romantic fairytale location. The iconic arches at the villa!!! 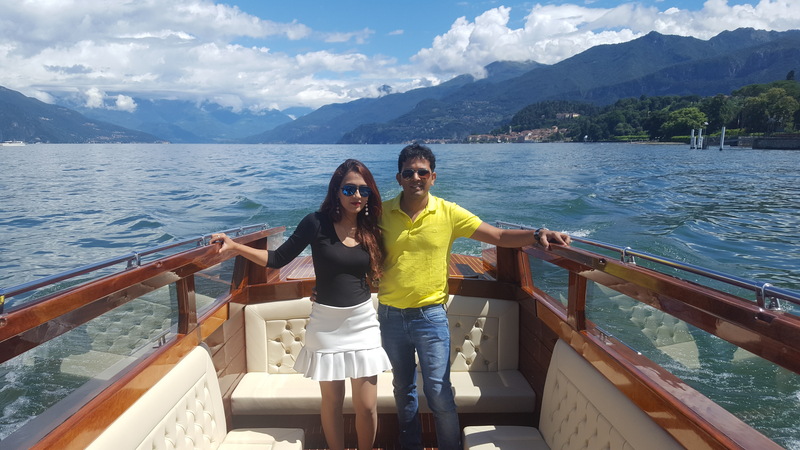 Waiting for the water limousine…..
With these lovely memories we went back to Cadenabbia by public transport boat n headed towards Switzerland…….